In the back of my mind is this list of projects I want to do. Things I probably won't be able to do in Sweden, things that are much more fun and interesting than packing boxes. Our apartment has white walls and we aren't supposed to create holes to hang things. I can't really remember what Olivia's room is decorated like because when we walked through our apartment we didn't know we'd be renting it. We knew it was a typical Swedish apartment, but basically we were there to see what 100 square meters could look like. But I remember the walls are white, and I bought some Command Adhesive hooks to use to hang lightweight items. 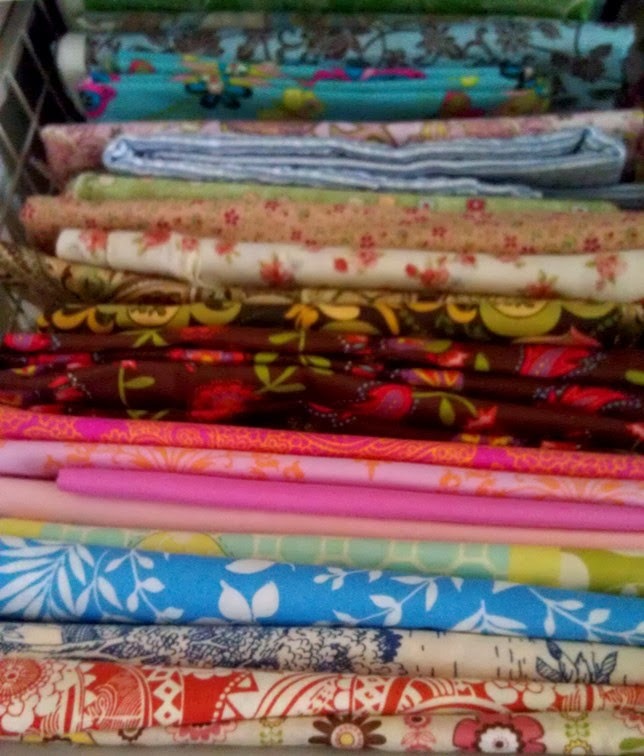 I have all this fabric, mostly because I have a little girl and I like to sew so I buy fabrics I like and don't worry so much about what they'll become. 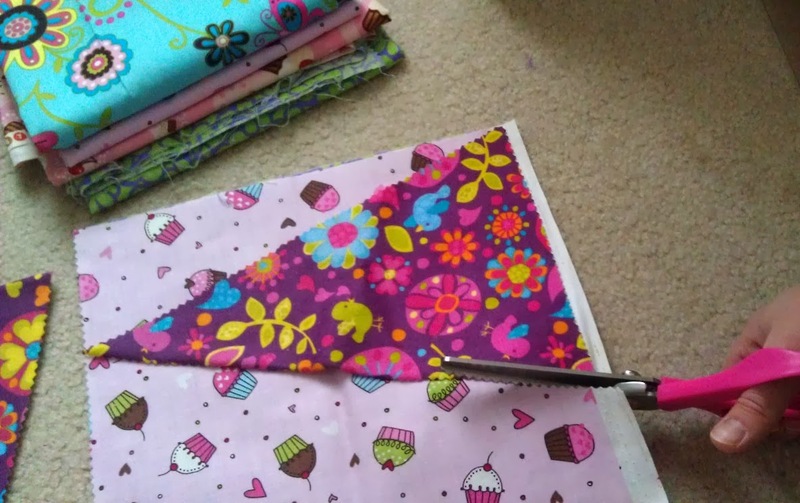 I'm not ready to pack my sewing machine away or box these fabrics up, so today I decided to do one of those projects on my now-or-never list. Cut isosceles triangles with pinking shears to be about 7" wide at the top and 10" tall. I'm sure you could make this a lot fancier or more durable, but my goal was to finish. Sandwich the short side of the triangle inside 1/2" double fold bias tape and and sew near the edge of the bias tape. 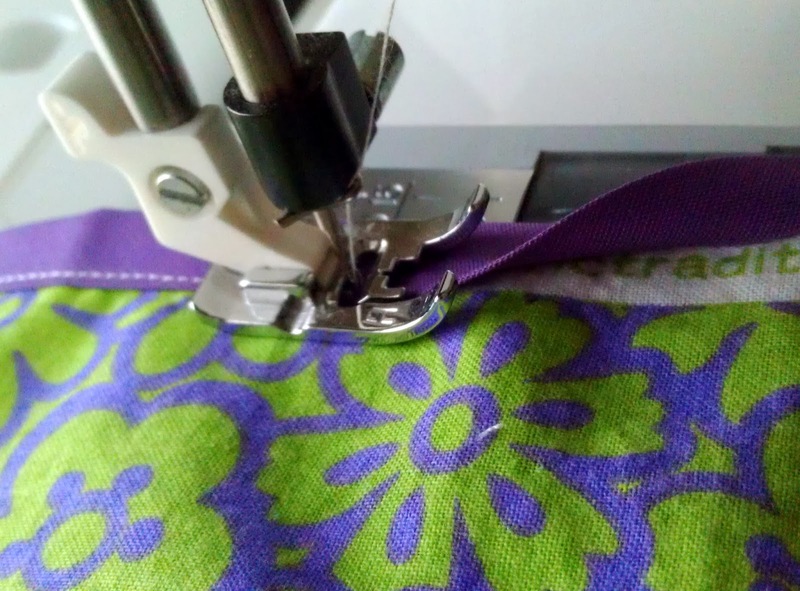 When you get to the end, add the next triangle and tack it down before inserting the rest of the triangle's edge into the bias tape. Now if you'll excuse me I need to collect the kids and head to the fabric store. One 3-yard pack of bias tape was enough for 13 triangles, but I have 10 left and I'm out of tape. This has nothing to do with today being a snow day and my evening activity being cancelled and that I may be running a slight cabin fever. 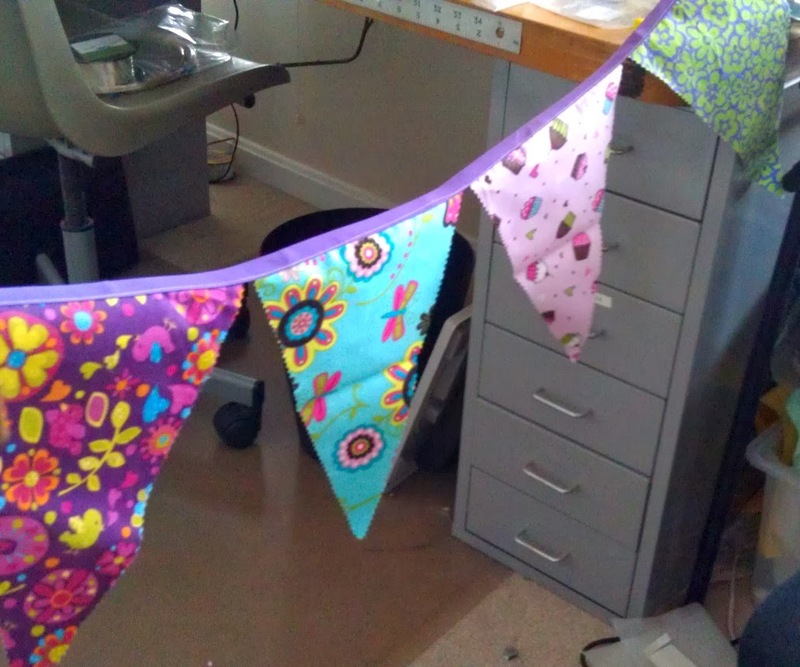 Don't buy bias tape -- your mother has enough for the world to make bunting!